Age is no bar in love. 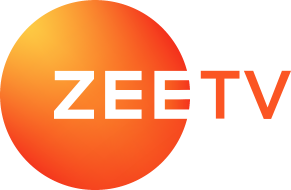 Zee TV show Aapke Aa Jane Se debunks the age-gap stereotype with protagonists Sahil Agarwal and Vedika Mathur‘s love story. Currently, we see Sahil as a 24-year-old boy who falls in love with 42-year-old Vedika. We have a piece of good news and a piece of bad news both for fans of “Sadika” aka Sahil and Vedika. We have been informed Aapke Aa Jane is all set to take a leap. In the upcoming episodes, we shall see that Kshitij (Badi Amma’s stepson) kills Sahil (Karan Jotwani) and Vedika (Suhasi Dhami) and declares that the lovers will never be together. However, Sahil and Vedika promise to meet in next birth and complete their love story. The ‘Punar Janam’ aka Reboot track shall nonetheless stick to its ‘No License to Love’ theme. The new track shall showcase Sahil and Vedika take rebirth. Sahil will be shown as a 24 YO guy hailing from a rich family of Kanpur. Vedika, 42, is a divorcee who belongs to a middle-class family staying with her parents and younger sister Radhika. Sahil and his family come to see Radhika for an arranged marriage but the former ends up falling head over heels for Vedika. The hopeless romantic is ready to cross any limit to win over Vedika and her love. Sahil’s family rejects Vedika and instead fixes his marriage with Radhika. On their wedding day, Sahil dramatically ends up putting sindoor on Vedika’s forehead. Vedika becomes angry and on the other hand, Sahil’s family hates to accept an older, divorced woman as their bahu. Hereafter begins the journey of Sahil trying to comfort Vedika and how she comes to accept him as her husband. Vedika will be shown to bear the wrath of her parents as well as her in-laws. But Sahil shall help her mend fences with them all. Interestingly, Vedika will get flashes from her previous birth, every time Sahil touches her. However, the new track shall prove that Sadika will be together in each birth. But will Sahil and Vedika remember their past life? Will their get a happily ever after and get second time lucky? Stay tuned to find out more dope on the upcoming twist in Aapke Aa Jane Se. What are your thoughts about the incoming plot twist? Share your views in the comments box below. Recently, Kumkum Bhagya also took a leap. Have you met Abhi-Pragya’s daughter Prachi and Pragya yet? Watch latest episodes of Kumkum Bhagya on ZEE5 now!